Designed to Help You Ramp Up Your Sales! Commercial Capital Company is offering it 2nd Quarter Bakers Dozen Programs Promotion. pay interest on a longer term contract. 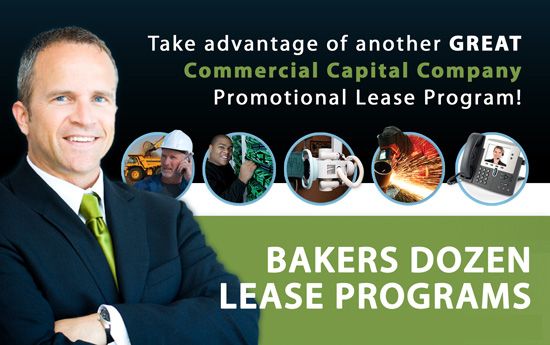 Ramp up your business and revenue with the flexible Bakers Dozen lease options.